Lynda Arnold is a certified Sound Healer, Vocalist & Multi-Instrumentalist, Composer and seasoned Performer on a life long mission to build healthy communities through the power of sound and music. She offers sound healing workshops, private sound baths, singing for wellness sessions and performs in Los Angeles and has appeared at Shakti Fest, Bhakti Fest, LA Yoga Expo, DisclosureFest, SXSW, Lightning in a Bottle Festival, Emerald Exchange Festival, Burning Man and Lucidity Festival among others. Her intention is to provide a gateway for people to reduce stress, transform consciousness and heal through sound and meditation. She received a Certificate in ‘Sound, Voice and Music Healing’ at the California Institute of Integral Studies in San Francisco in 2010, has multiple music degrees and over 25 years of music education and performing experience. As a multi-instrumentalist, recording engineer and music producer, she has spent years collaborating with other artists and bands and touring in support of her releases as Divasonic. 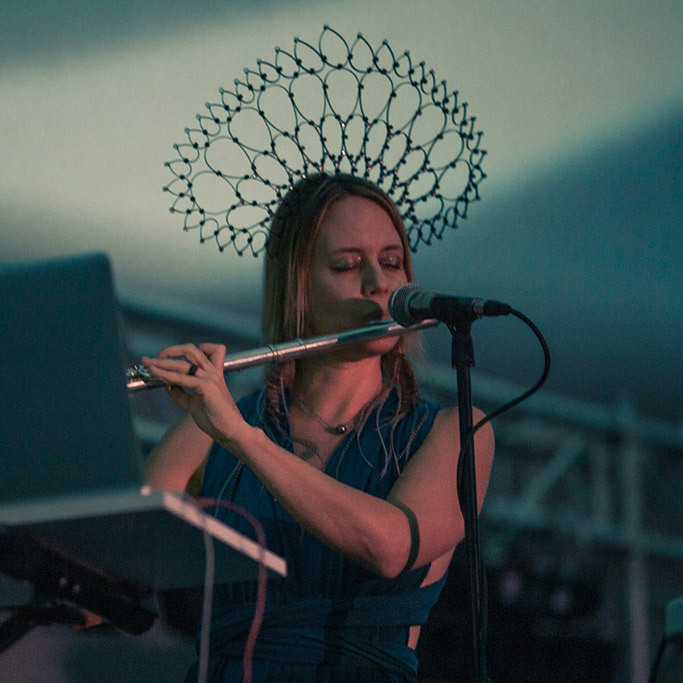 Her sound has varied through her 25 year, fiercely DIY career, touching on every electronic music genre accompanied by her transcendent, angelic flute and soulful vocal deliveries. Recent performance, production and sound healing projects include: Recording and performing with the Desert Dwellers, Lucent Dossier’s ‘Human Initiation Project’, Virtual Reality content projects and Immersive Wellness events with the Visual Reality Meditation Collective (LA), Conscious bending 432Hz electronic music/sound meditation project Solar Theory with Torkom Ji, and directing an all woman ensemble of sound meditation facilitators and musicians called Sonic Devas. In addition, Lynda is continuing to release music under her artist name and music company, Divasonic.